Come have fun with cardio at American Family Fitness. With top-of-the-line equipment and personal trainers to help you reach your goals, you will never need another gym. Do you wonder why we need cardio training? When done properly, cardio increases your heart rate to help you burn fat and improve health. It can assist in distributing oxygen throughout the body and improve energy levels. At our gym in Mechanicsville, we are here to help you reach all of your goals, and our wide variety of cardio training equipment is one of our tools to help you get there. Cardio training is a great way to improve health, especially heart health, as you lower your risk for certain illnesses like heart disease, stroke, and diabetes. Cardio also helps achieve added calorie burn for weight loss too. 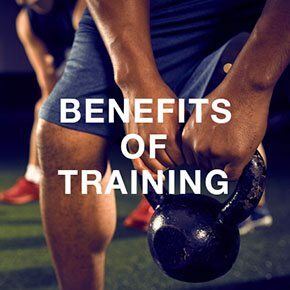 With top-tier equipment and cardio group exercise classes, you'll find what you need at our gym for the best cardio training in Mechanicsville. Weight training is the optimal compliment to any cardio training program. 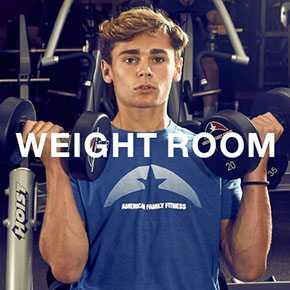 At our Mechanicsville health club, we provide elite weight machines that target every muscle group, as well as a variety of free weights. Are you constantly frustrated waiting in line for a piece of equipment? At our Mechanicsville gym, we strive to make sure you will never again have to wait in line. 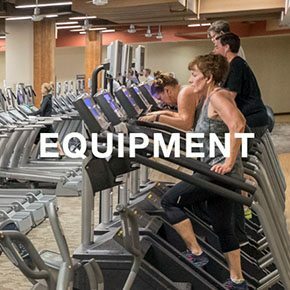 The wide selection of equipment we offer includes treadmills, ellipticals, bikes, rowers, stair climbers, and more!